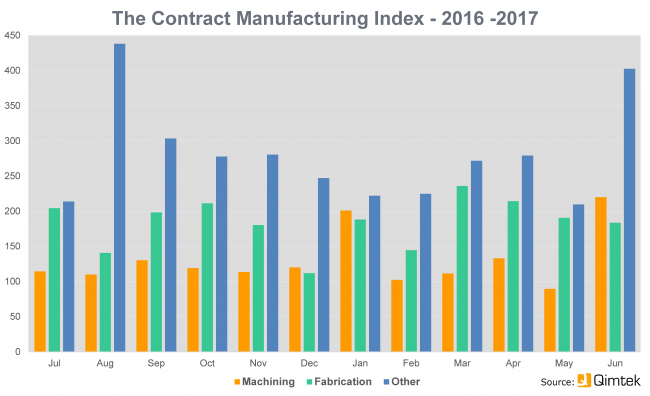 Building on strong figures for the first quarter of 2017, the subcontract manufacturing market edged ahead another 6.7% in the second quarter, with strong demand for machining in June offsetting a dip in May. According to the latest Qimtek Contract Manufacturing Index (CMI) figures, the index for the second quarter stood at 174, compared to 163 for the first quarter, although it was 8% down on the corresponding quarter of 2016 when demand was particularly strong and the index stood at 188. On a process-by-process basis, machining was up by 6.7% on the first quarter, the same as the overall index, despite the poor figures for May. Fabrication nudged up slightly by 3.4% on the quarter despite tailing off from a high point in March. Other processes including electronics and plastic moulding were up by 24%, but from a low base compared with the same period in 2016. Commenting on the latest CMI figures, Karl Wigart, owner of Qimtek, said: “Despite all the uncertainty for the economy resulting from the General Election and the Brexit negotiations, the contract manufacturing market remains resilient. 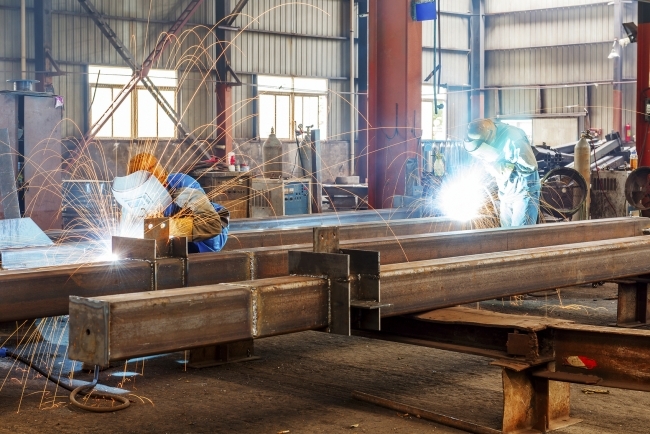 Indeed, it could be that this uncertainty is leading manufacturers to turn to subcontractors to hedge against volatile demand.